With Professor Marcelo Paixao from the Department of African and African Diaspora Studies (AADS) at the University of Texas at Austin and Teresa Lozano Long from the Institute for Latin American Studies (LLILAS) at the University of Texas in Austin. 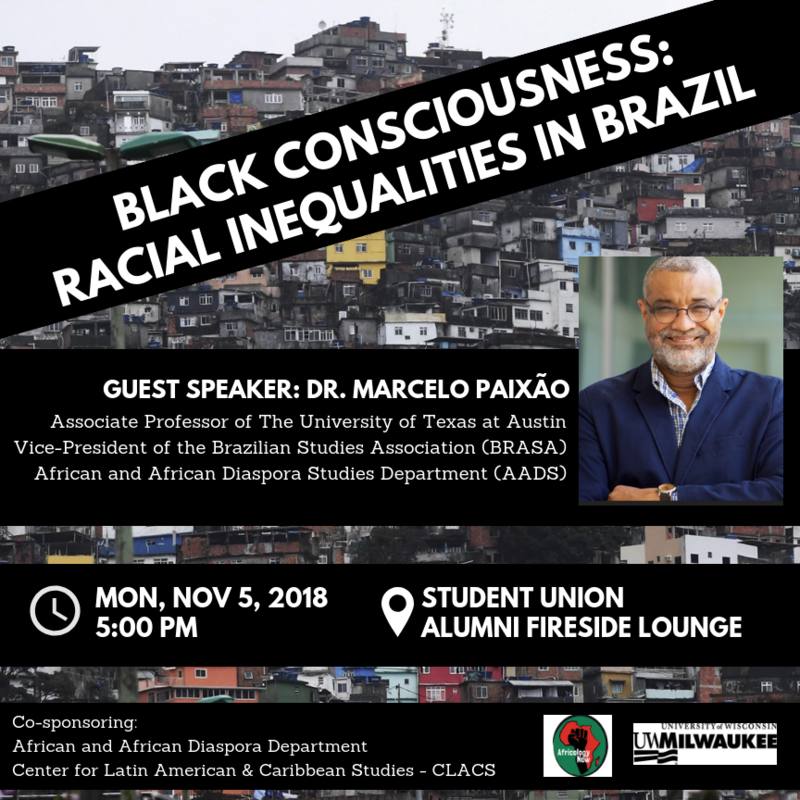 Professor Marcelo Paixao was responsible for the annual report of racial inequalities in Brazil, which was used to guide policies of racial equality in Brazil’s government from 2010-2014. He lectures and does research on racial inequality in Brazil and Latin America.